In order to build a powerful digital marketing strategy – whether it’s social media, content marketing, influencer marketing, and pretty much any other type of marketing campaign – you need knowledge. Knowledge about your target audience, knowledge about the people they follow, the content that they like, and so on. This is where social listening comes in. Social listening is not just a way to keep track of your mentions online, but it's also a way to learn more about your audience, so that you can make better, more informed marketing decisions on how to best reach them. What is social listening exactly, and how can you use it to your advantage? Social listening is the act of monitoring online activity and conversations. This can be done for various reasons and usually, social listening tools are a bit more complex than the more common social monitoring tools. While social media monitoring tools enable you to monitor keywords and brand names on social media to catch any mentions, social listening tools usually offer more options - from being able to monitor the entire web (not just social media, but also blogs, forums, web publications, and so on), to creating complex Boolean searches that can help you catch even the most elusive mentions. Awario is a pro social listening app with extra social selling features, as well as social media management features. It’s a bit different from some of the other pro social listening tools in this list, in the sense that it’s not as complex, and there’s a bigger focus on hashtag monitoring and brand mentions (the web mentions feature is quite new). Mention is another pro social listening tool which enables you to monitor the entire web. From social media to blogs and forums, you can monitor any keywords you want, including, of course, your brand name and your competitors. This feature, as noted, is very useful (and even if it might look complicated at first sight, it’s very easy to set up once you understand how it works), as it enables you to catch more elusive mentions that you would otherwise miss. For example, you can add as many variables as you want, create rules (such as only mentions that include multiple certain keywords, but not another keyword), and make sure you don’t miss mentions that include your exact keywords, only separated by other words (for instance, if you searched for “content marketing” you might also be interested in a mention like “I’m looking for someone who knows content to help with my marketing strategy”). 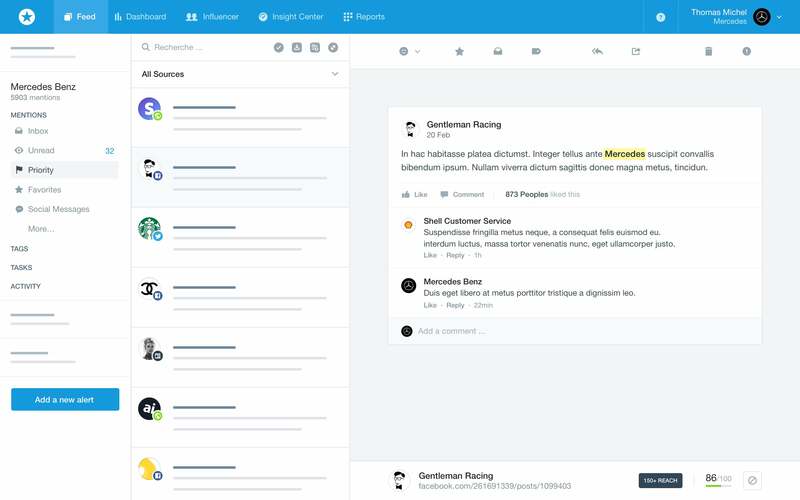 Plus, once you find relevant mentions, you can respond to them directly from the dashboard, and you can add multiple team members as Mention has team collaboration tools. And of course, you analyze your searches and generate real-time reports to share with any relevant parties. 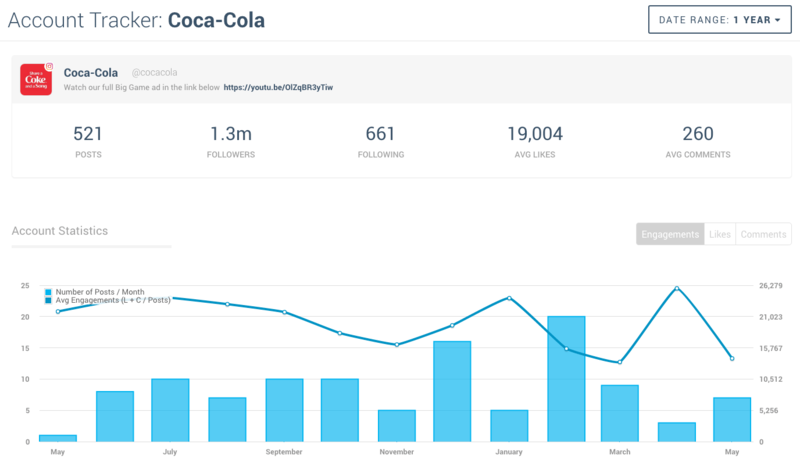 Another top social listening tool, Brandwatch is a complex and versatile app that you can use for pretty much any social listening/reporting needs. This makes it a great option for market and audience research, as it provides a plethora of in-depth insights. Brandwatch lets you monitor the entire web (as with some of the other tools, social networks, blogs, forums, news sites, and other online publications), and since it recently partnered up with Crimson Hexagon, it’s likely we’ll see more interesting features from them in the future. Once you’ve created your search with Brandwatch, you’ll be able to access your mentions and insights, and there’s a big focus on analytics within the app. You also get access to very detailed audience analytics/demographics - who forms your audience, where they’re from, where they spend their time online, what content they like/prefer, what their interests are, and much more. This makes it a great option for those who need to research a market or audience in order to be able to create marketing strategies that will truly resonate. Talkwalker is a well-known social listening and analytics tool that is better suited for enterprises, or companies with a global presence. Talkwalker also offers “visual listening” – meaning, you can track mentions of your brand logo all over the web. If you need to create reports to demonstrate your online marketing efforts and ROI, you can easily build them, which you can then download as PDFs, Word documents, or as PowerPoint presentations. What’s more, you can evaluate exactly what ROI you’re getting from your social media and what revenue you’re generating (compared to your targets).